Here is the official Costco schedule for our Spring Basics line OR swimwear line. If you don’t see your city on the list, hopefully we will be coming to you during the rest of the spring/summer months! Still Searching for the Perfect Swimsuit for 2010? Just a few of the colors and patterns we have. We are sure to have YOUR perfect swimsuit this season in our new 2010 swimwear line. Just check them all out here. Our Lace Cami is a one of a kind product in the industry. It has become a favorite among many women across the country because of its unique design. The super soft lining and all over lace front with lace trim detailing sets it apart. It adds a feminine and sophisticated, yet fun look to any casual or professional outfit. We are excited about the fun new spring colors we added to the line in the Lace Camis. These are such perfect colors to pair with a lightweight white cardigan, wear alone with a linen capri or layer in your latest spring suit for work. Below, the model is pictured in our ivory shade, which is another perfect color for spring! Here is our official Costco schedule for the Spring Basics Line OR Swimwear. If you don’t see your city on the list, hopefully we will be coming to you during the rest of the spring/summer months! Another great deal for our Mod Bod Fans! This time it is 40% off our Jace Turtle Neck & Anna Ruffle Neck Top. This is a perfect time to stock up for next year’s cold months and get these shirts at a steal of a price. The Anna Ruffle Neck Top is actually light enough to wear in the spring! The Anna Ruffle Neck top is available in Black, Royal Blue and Ivory. Look how perfect it looks with a great pair of jeans! When we had four fabulous bloggers review our line, one of them paired the top with our pencil skirt and a wide belt. It was a very sharp look! A dash of elegance goes a long way with our ruffle neck Anna. The small button closure at the top creates a loop opening. You can add your own sense of style with a brooch or pendant. Raglan sleeves add to the sleek finished look. The Jace Turtle Neck is a fantastic “key piece” to have in your wardrobe that will last you for years. The colors are fun and will last throughout the seasons in style. One of the reasons our customers love this top is because of the extra length. It’s just long enough to stay modest while moving around and keeping up with your busy day. 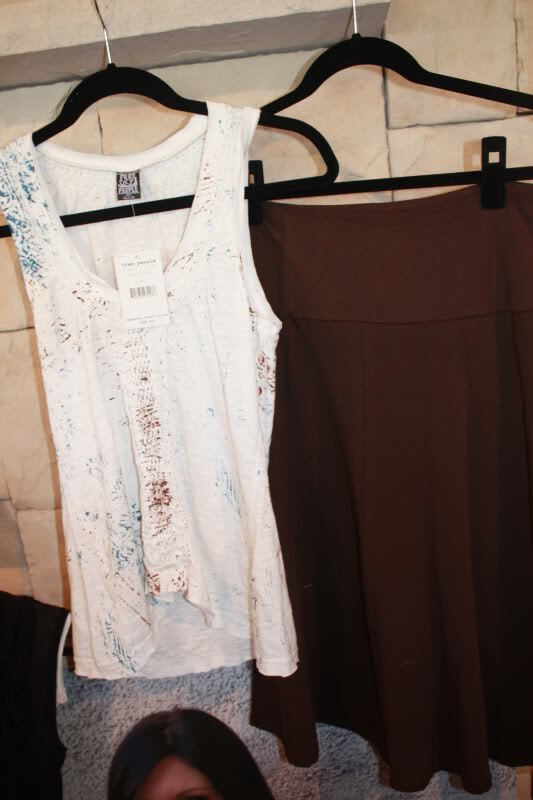 Be sure to take advantage of this special: 40% off these two tops until the end of the week over at themodbod.com ! For a Limited Time you can get our Perfect Long Sleeve for 50% off! Be sure to shop ahead and stock up for next year’s cold months! Stay comfy, cozy, and in style in our Perfect Long Sleeve. It’s bound to become your favorite cool-weather basic! As always, the Perfect Long Sleeve is made from our signature quality fabric. Extra length keeps you covered and longer sleeves ensure you stay warm, no matter what. Also, while you are taking advantage of this sale, don’t forget that our 2010 Swimwear Line is now available online! Our Mod Bod Tulip Skirt is a very classic piece and a wonderful essential to have in your wardrobe. You can pair it with items in different ways to make it a new look every single time! 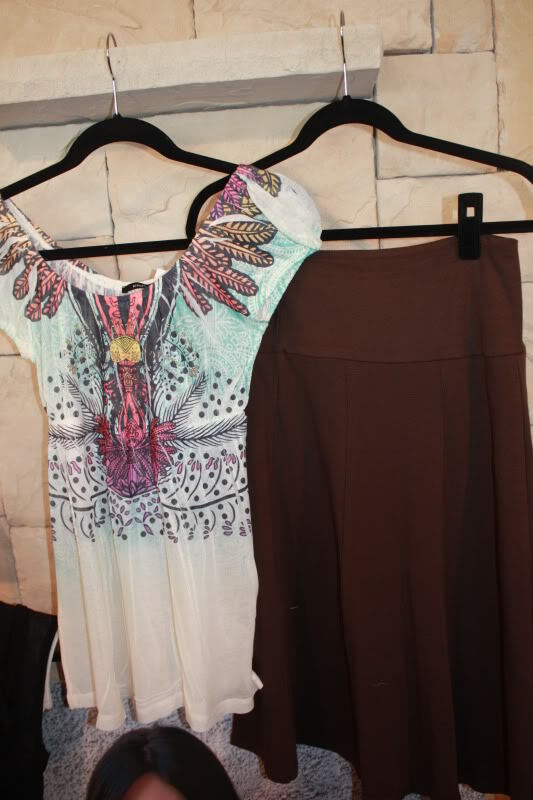 Today we are going for a more modern, Bohemian look with our ideas for tops to go with the skirt. You can also buy this skirt in Black, Indigo and Raspberry. #1 Pair it with spring & summer’s hottest top, the racerback tank. Simply throw on a modbod undershirt if you need it to be more modest! #2 Pair it with a light summer jacket–this shade of pink is such a perfect accompaniment to our brown Tulip skirt! #3 Pair it with a fun, flowing baby doll top. This top will work well for the in-between months from spring to summer. Here is our official Costco Schedule for our Spring Basics Line OR Swimwear. If you don’t see your city on the list, hopefully we will be coming to you in the rest of the spring/summer months! If you have any friends or family in these areas, let them know we will be in their local Costco. 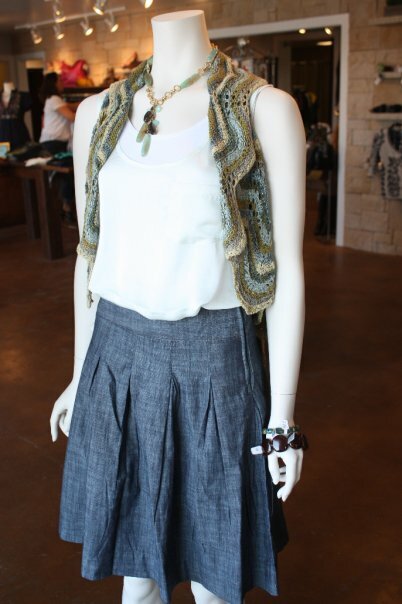 In the storefront window of Blend Fashions, we saw our Katie Jean Skirt! We were thrilled and loved how they put the outfit together. Look how relaxed, classy and spring-like that outfit is! It follows the popular bohemian trend right now but is not overly done. Our Katie Jean Skirt it a must-have key piece for your wardrobe. You can dress it up or down any way you would like. It is also a fabulous fit and is a lightweight denim skirt which you don’t see too often. Such a perfect outfit for spring, which is almost here! Don’t forget you can Become a Fan of Mod Bod on Facebook and be the first to know about new releases, free shipping and sales.